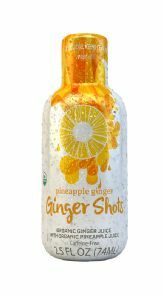 Ginger Shots is a line of six USDA organic certified and high pressure processed (HPP) juice shots. 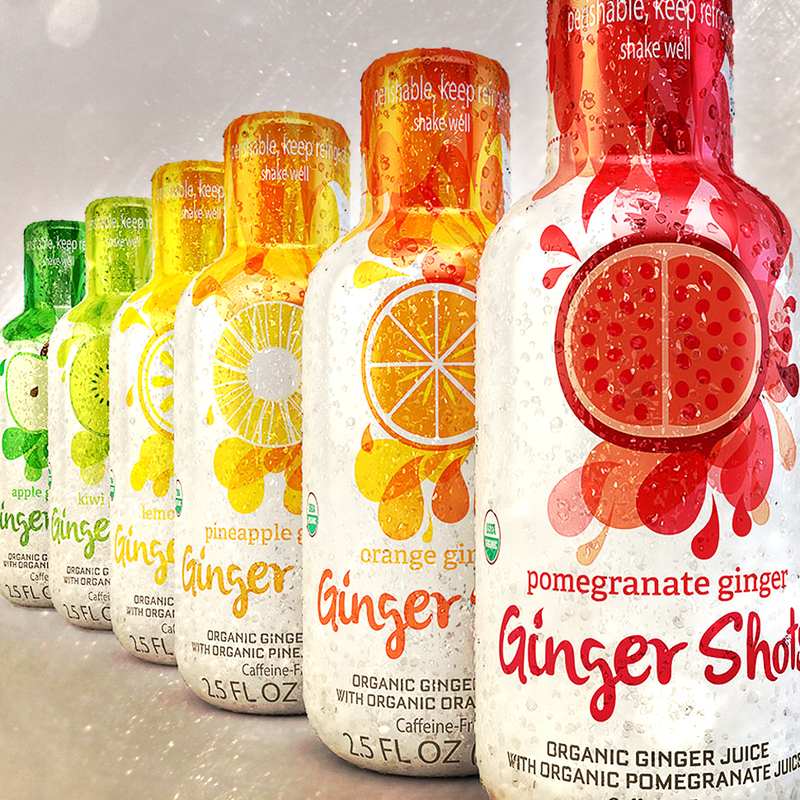 As the name suggests, each of the flavors is based on ginger juice. While the company has done a great job of loading these products with that fresh and intense flavor, they all taste somewhat similar. 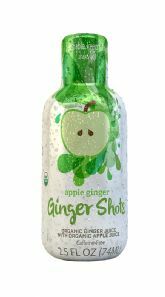 This is certainly not the only product out there to feature an ingredient throughout its entire line, but it seems especially challenging with a spicy flavor like ginger. And because each flavor has only two ingredients -- just ginger and whatever it’s being flavored with -- it’s really hard to create meaningful variation. 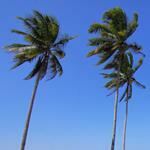 For us, the highlights of the lineup are the more traditional flavors: Orange Ginger and Pineapple Ginger. These flavors are the most balanced, offering a nice blend of sweet and spice that you just won’t find in their other offerings. These two flavors are, at least in our opinion, most ready for Prime Time. As for the other flavors, it’s a mixed bag. Pomegranate Ginger, Kiwi Ginger, and Apple Ginger are good conceptually, but don’t really work well as a two-ingredient blend. Adding in a tertiary flavor might help. 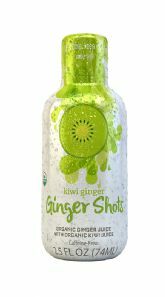 Of those three, we were most impressed with Kiwi Ginger, which, thanks to the higher viscosity of kiwi juice, has a unique texture. Lastly, there’s Lemon Ginger, which needs the most work. The flavor of lemon and lemon oil are pretty overwhelming and the lack of sweetness is really hard to get past. Visually, the product definitely does not look like something that fits into the HPP beverage category. It’s packaged in a 2.5 oz. fully-wrapped shot bottle, which looks very much like something that would be more appropriate for an energy shot. 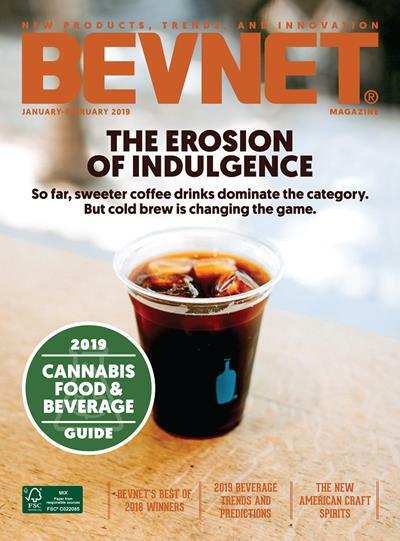 Judging by the “caffeine-free” callout on the front of the bottle, we’re guessing that they’ve probably had this thought as well. Consumer confusion is a real concern -- and we’re sure that it will inadvertently be placed with other ambient shots on some occasions. 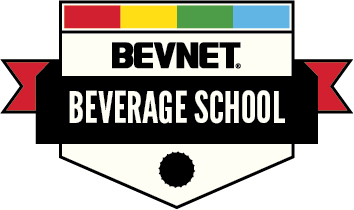 There’s also a lot of room to improve upon the branding. 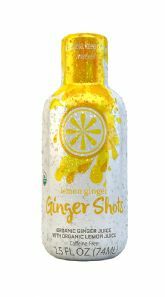 We’re always fans of products that have straightforward messaging, but trying to own “Ginger Shots” when you are far from the first to market is going to be impossible. 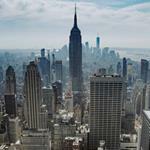 Compounding the issue is the graphic design, which, again, looks like something out of the energy shot category. Moving to a different bottle -- preferably one that’s clear -- and improving upon the branding will certainly help this product and its $4 price tag. 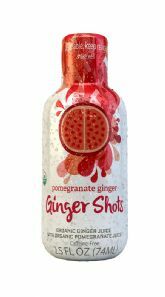 In the end, we really like the idea of a USDA Organic line of HPP ginger shots. 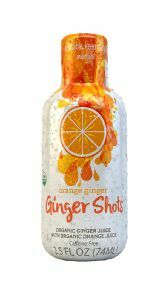 But Ginger Shots seems more like a proof of concept than something that’s really ready to put its foot on the gas.